Nonprofits with unrelated trades or businesses have received desperately needed interim guidance from IRS Notice 2018-67 (the “Notice”). IRC §512(a)(6) enacted by the 2017 Tax Cuts and Jobs Act requires nonprofit organizations with more than one unrelated trade or business to calculate the unrelated trade or business income separately with respect to each trade or business. Income and deductions are no longer allowed to be aggregated. As acknowledged by the IRS in the Notice, neither the new legislation nor the law provides criteria for determining whether an exempt organization has more than one unrelated trade or business or how to identify separate unrelated trades or businesses for purposes of calculating the tax. The Treasury Department and IRS have stated that they do intend to propose regulations but, in the meantime, this interim guidance can be used for calculating unrelated business taxable income. The Notice specifically states that using the six-digit North American Industry Classification System or NAICS codes is considered a reasonable, good faith interpretation. When a nonprofit completes an unrelated business tax form — the Form 990-T – the nonprofit is already required to choose a NAICS code for such activity. As a result, all camps should be treated as NAICS code 611600, other schools and instruction. Most nonprofits should be able to separate their activities with little problem, as they have already been doing this when filing their current returns. The fear that the IRS may issue more stringent guidance has not subsided. This is only interim guidance and the IRS set forth in the notice other ideas it may use in drafting the proposed regulations. One example considered is the fragmentation rule set forth in the regulations to IRC §513. Under the fragmentation rule, each activity would need to be separately identified regardless of the fact that it may be conducted within a larger aggregate of similar activities. Several other ideas are being considered by Treasury and the IRS, and both entities have also asked professionals for ideas or comments on the current ideas, to be submitted before December 3, 2018. The Notice provides other interim guidance to follow until regulations are finalized. Such additional guidance includes general principals regarding partnership income. The guidance provides that an organization may aggregate its unrelated business taxable income from a single partnership if the organization meets the de minimis test (i.e., owning no more than 2 percent of the profits and capital interest) or control test (i.e., owning less than 20 percent of the capital interest and not having control or influence over the partnership). 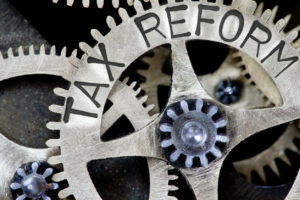 Additionally, the IRS has clarified that fringe benefits treated as unrelated business income are not required to be treated as a separate trade or business and can be used as an offset globally. There are other provisions that deal with debt-financed income, payments received from controlled entities and certain insurance income, and guidance on how to calculate net operating losses and how to include global intangible low taxed income (GILTI). If you would like to know how the Notice affects your nonprofit, please contact a member of the LaPorte Nonprofit Industry Group.